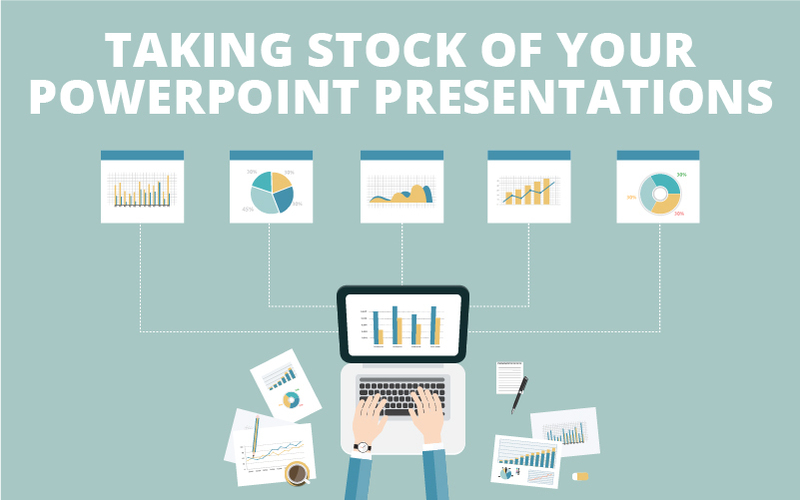 We’ve all seen a PowerPoint presentation or two that were, to put it gently, “lacking in the aesthetic department.” Often, this is because the presenter didn’t know what on earth they were doing, graphically speaking, and focused all their efforts on content. While the written word is extremely important, the visual components matter, too. It’s a rookie mistake is to disregard the appearance and rely on grade school-level design techniques, just plugging a semi-relevant clipart GIF into the middle of a long, bulleted list. One way to spice things up is to make use of our abundant stock image library. Stock images go above and beyond what old-fashioned clipart could ever dream of being. Twenty years ago, clipart was used extensively because it was cheap and easy. Each of the standard doodles did a good enough job and were innocuous and sterile enough to be used in most business situations. However, now that stock images are more readily available, it makes sense to leave mediocre by the wayside and give excellent a try. Let’s face it: Not all of us are Michelangelo. Artistic skills take a lot of practice and patience to develop, so when you aren’t artistically inclined, it makes sense to have someone else handle the visual elements. But then again, it takes money to do this and not all of us are Lorenzo de Medici (Michelangelo’s rich benefactor). In such cases, stock images are the way to go. You get oodles of images at your fingertips in seconds, and in most cases you can use them however you choose once you’ve paid to do so. And we promise, the price is much lower than commissioning Michelangelo to paint the same images for you. Stock images are good at covering a wide variety of different topics because there are thousands of them in the database, and a quick keyword search can bring up limitless variations of a similar theme, allowing you to pick the one that most closely fits what you need. Try using them as visual aids for abstract concepts. They can be used in the body of the text on your next presentation, or—if you know what you’re doing—can become the full background of the slide. You can also edit these images for another layer of customization. On the whole, stock images are checked, scrutinized, and edited before they get to see the light of day. Professional photographers and artists work hard to get the most focused high-resolution images they possibly can, while editors rake through them and pick out the very best. When you come to us for your stock image needs, you can rest assured that you’re getting the highest quality photos and vector drawings possible. Check out our stock library to see the insane amounts of pictures you can use today!